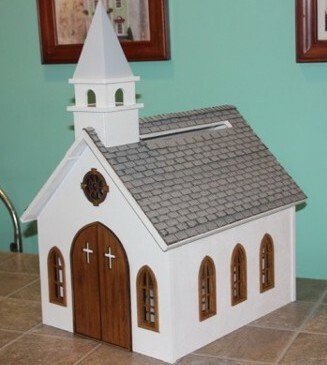 The slot lets this be used for wedding cards! 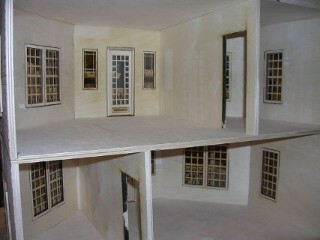 1/32 scale for Britains toy soldiers. 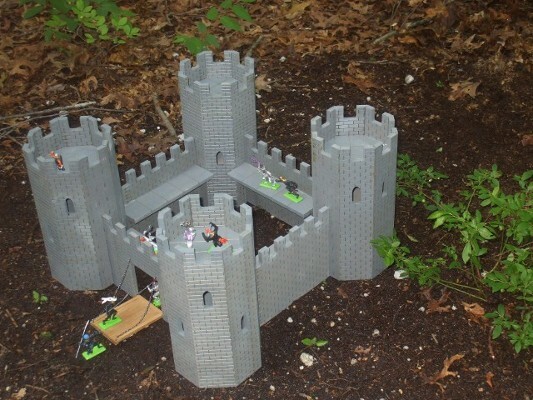 The castle parts are modular, which allows for expansion and rearrangement. 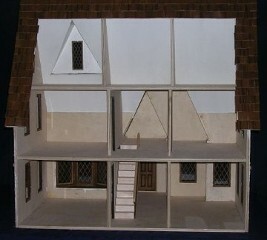 plus 2 rooms in the attic! 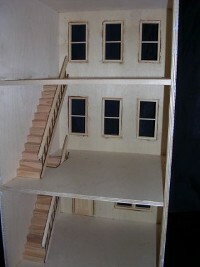 Includes Windows, doors, and staircase. 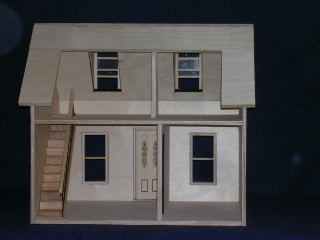 Dimensions of the house are 18"W x 19"H x 15"D.
Large front foyer is 10"W x 9 3/4"H x 6"D.
Small side foyer is 6"W x 11"H x 4 3/4"D.
have your choice of initial. 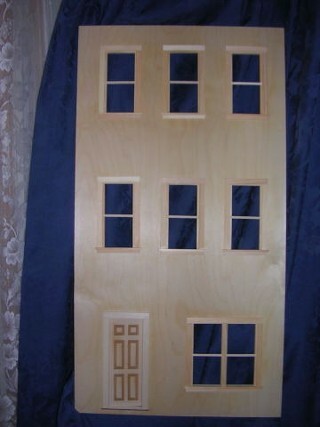 The door is also included. 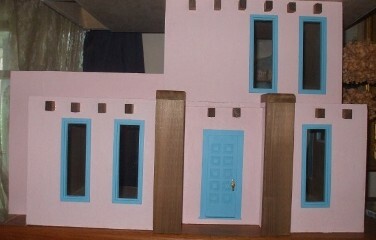 Includes windows, door, staircase, foyer and tower. 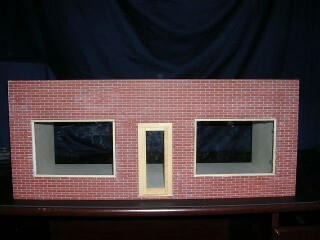 It is bricked and painted off-white. 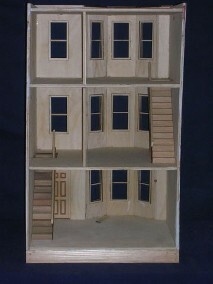 Includes windows, door and staircase. 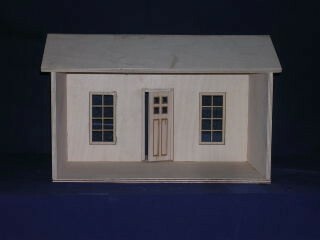 Dimensions are 28"W x 19"H x 15"D.
Dimensons are 28"W x 19"H x 15"D.
A two floor house with the option of room partitions. 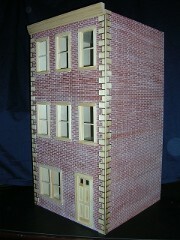 bricked and painted, including windows, door and staircase. 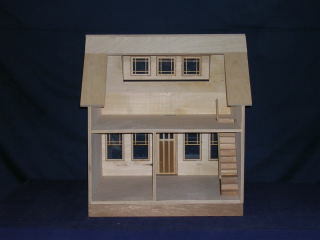 A one room house with a front porch. 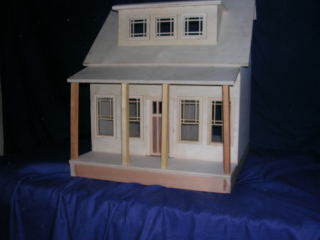 It measures 17" wide x 12" deep x 11 1/2" tall (at the peak). 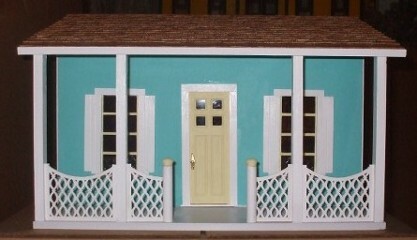 Comes with windows, door, and railings. 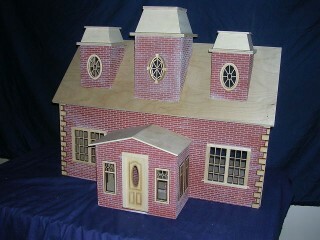 Also available as a kit. 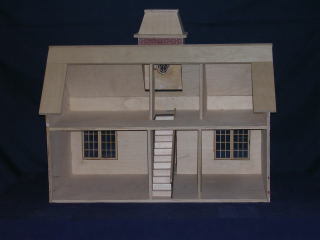 Dimensions are 19"W x 12 1/2"H x 17"D.
east on Long Island in the early 40s. 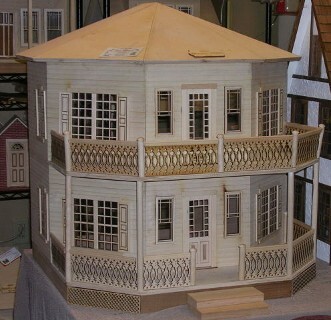 It measures 18" wide by 15" deep by 19" tall. 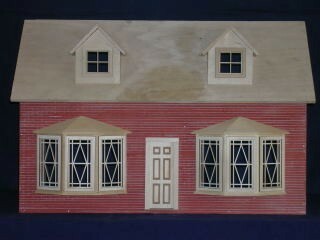 Comes with windows and door. 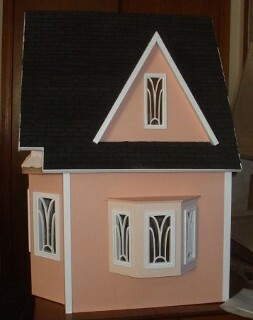 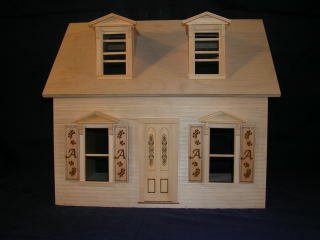 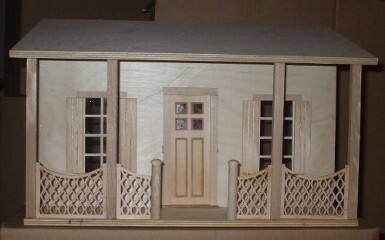 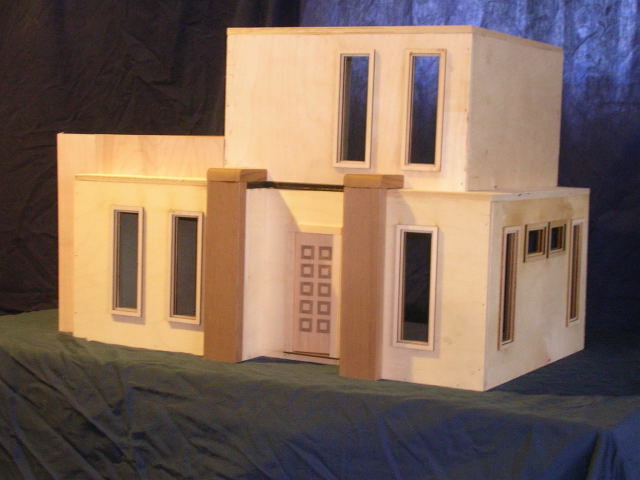 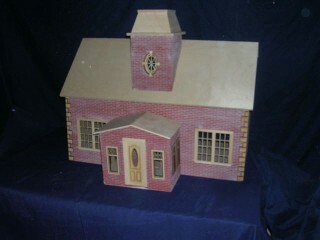 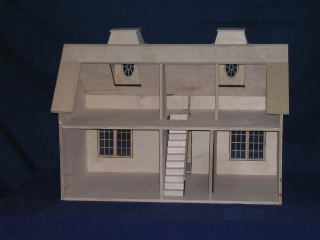 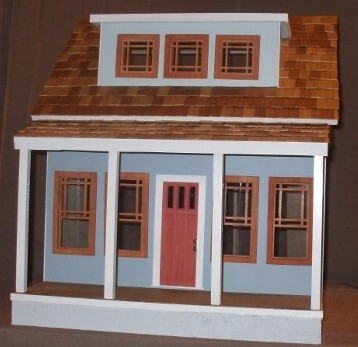 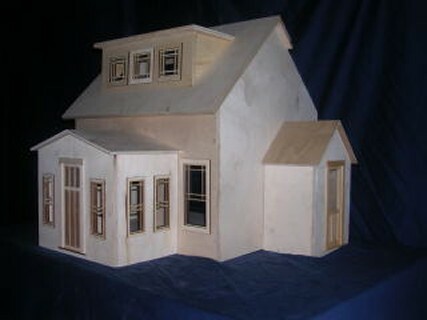 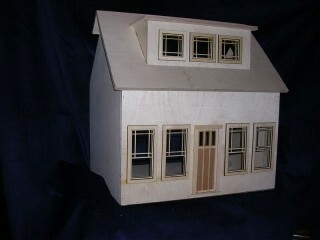 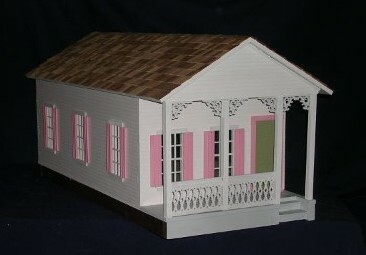 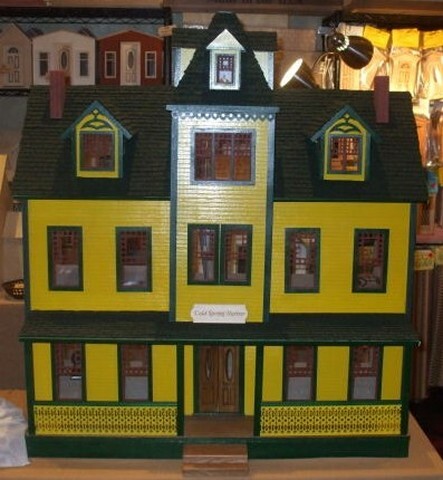 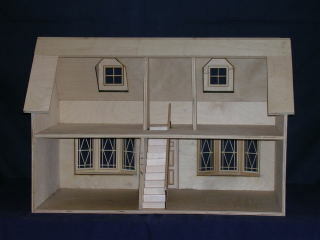 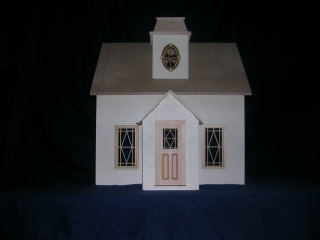 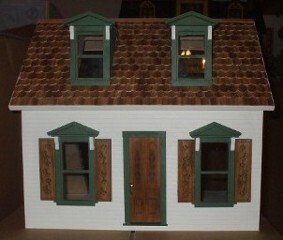 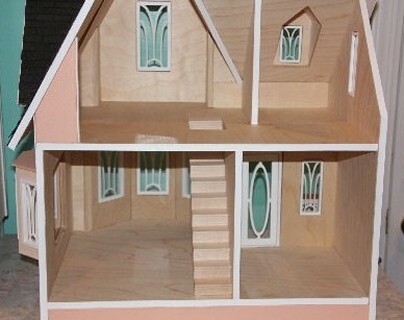 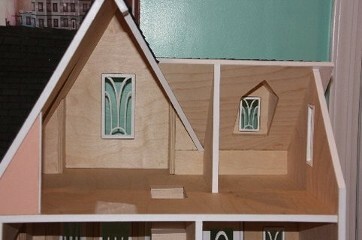 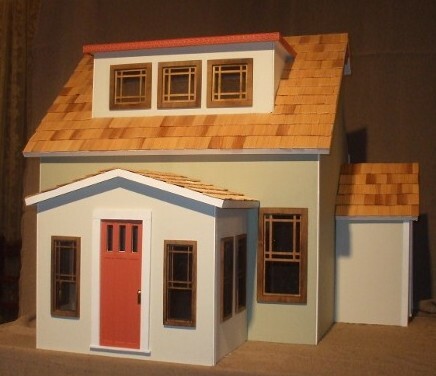 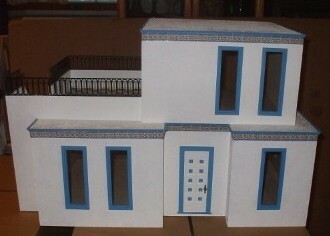 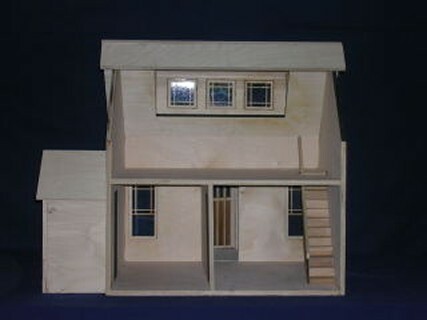 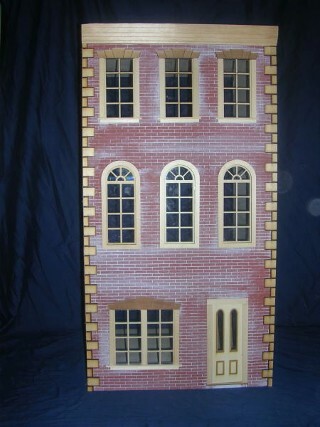 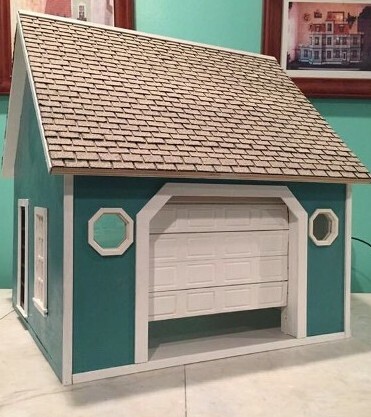 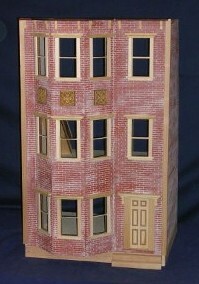 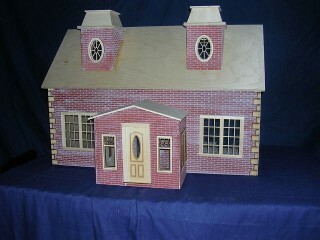 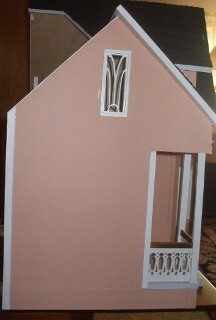 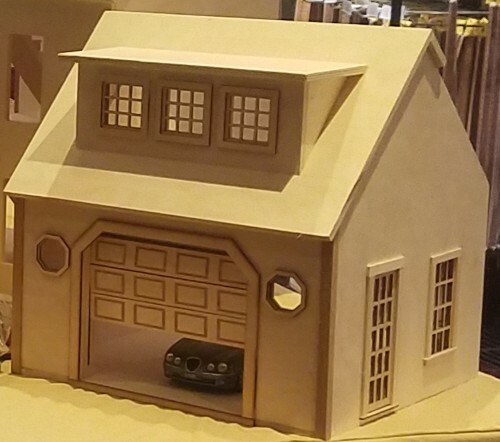 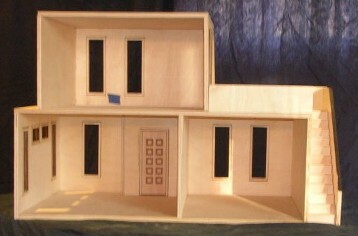 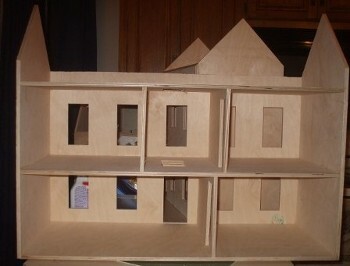 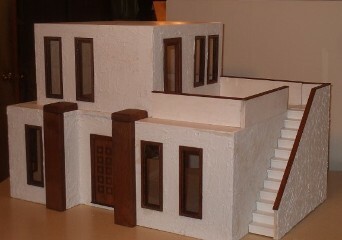 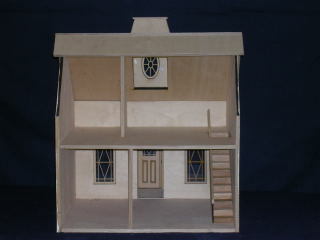 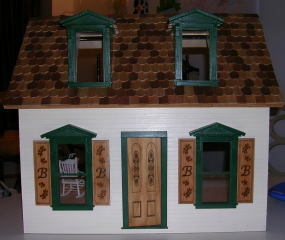 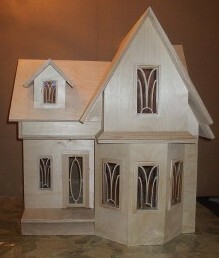 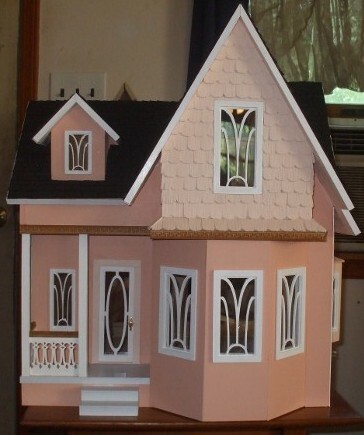 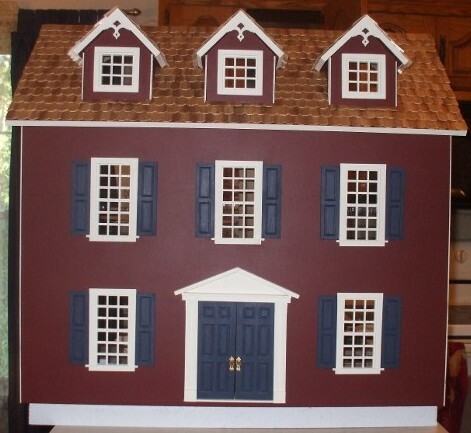 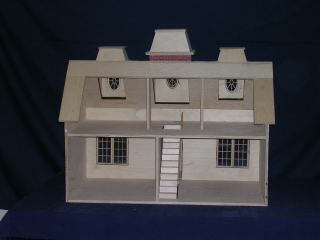 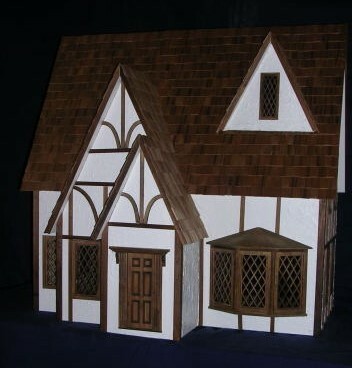 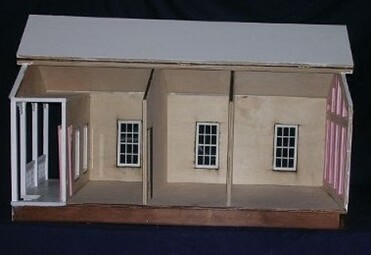 includes unpainted trims, 2 staircases, windows and door . 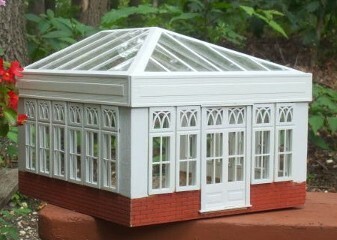 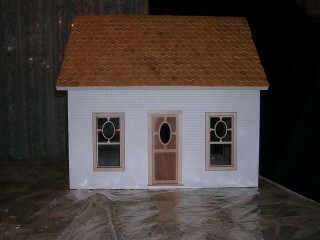 Unbricked and unpainted, includes trim, 2 staircases, 1 over 1 windows and door.